EDITH Nawakwi’s running mate Reverend Clement Mwanza breached article 43 of the Reformed Church of Zambia’s constitution when he accepted to participate in active politics and therefore must step down. Reformed Churches in Zambia secretary general William Zulu yesterday clarified that article 43 of the Church’s constitution states that any minister (pastor) who wanted to join politics must step down from his position in the church. “Yes, it is true that we have asked him to step down because our constitution does not allow a minister to join active politics,” Dr Zulu said. He said Rev. Mwanza cannot continue serving as minister of the church because his decision had the potential to bring confusion in the church. Dr Zulu said the church had members who supported different political parties and that was why church ministers were guided by the constitution to stay away from active politics. Dr Zulu said Rev. Mwanza had no option but to leave the church because he was part of the constitution-making process. “He was one of the leaders who participated in the formation of the constitution, so he has no excuse because he knows the law and regulations very well,” Dr Zulu said. He said Rev. Mwanza would not be allowed to preach in any of the Reformed churches anywhere because of his partisanship. Rev. Mwanza could not be reached as his mobile phone was off by press time. 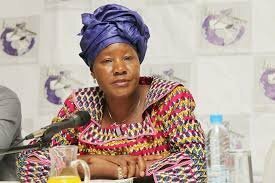 Last week, Ms Nawakwi shocked the nation when she announced Rev. Mwanza, until then a political nonentity, as her running mate during the filing in of nominations at the Mulungushi International Conference Centre. 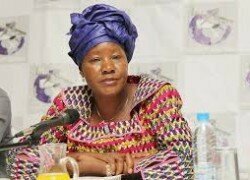 Ms Nawakwi had kept it a secret until the final day of nominations.